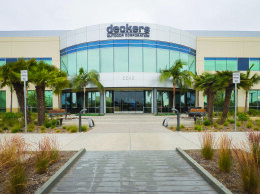 Deckers Outdoor Corp. said profits jumped 48 percent in the third quarter after getting a big leg-up from Ugg brand sales. The Goleta-based shoe company increased its full-year outlook after the better-than-expected third quarter. Deckers company earned $62.3 million, or $1.59 per share as sales jumped 49.1 percent to $414.4 million in the third-quarter. Ugg sales were up 47.3 percent to $376.7 million. CEO Angel Martinez said the brand’s revenue was driven by higher domestic wholesale demand, the introduction of several new styles, and a wider selection of men’s products. Total Ugg brand sales are expected to top $1 billion this year, he said. “At the same time, our international sales more than doubled fueled by the growth in wholesale unit volumes in the United Kingdom and Benelux, coupled with an increase in sales resulting from our conversion to wholesale operations in these regions,” Martinez said in a statement. Overseas sales grew 113.8 percent to $156.4 million in the third quarter, with U.S. sales up 26 percent to $257.9 million. Ugg remains Deckers’ largest and most well-known brand, but it has several other shoe names under its umbrella. Sales of Teva brand outdoor sandals were up 7.3 percent to $14.7 million in the third quarter. Sanuk, the surf shoe brand Deckers acquired in July, sold $15.6 million of product. The acquisition put a significant dent in Deckers’ balance sheet: its cash holdings were down from $250.5 million a year ago to $90.4 million. “As we look out to next year, we remain optimistic about our growth opportunities despite some of the current headwinds facing the global economy. 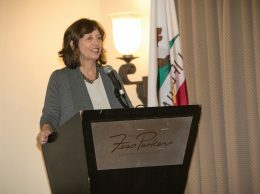 However, we will experience further increases in raw material prices in 2012,” Martinez said. The firm increased its full-year outlook, saying it now expects 2011 revenues to jump 33 percent over last year’s sales — an expectation that pegs 2011 revenue at $1.3 billion. Sales of its Ugg brand boots are expected to increase 32 percent, but other brands are expected to be down about 10 percent. Sanuk, the Orange County sandal firm Deckers bought for $120 million earlier this year, is expected to generate sales in the high $20 million range, it said. Deckers shares closed up 10.8 percent to $11.48 on Oct. 28.